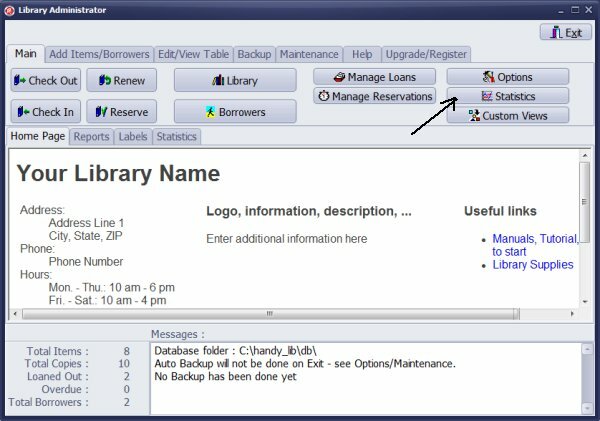 The Custom View function helps you to customize the way you display and analyze your library data. This is advanced feature and knowledge of the Firebird SQL query language is required. We help to create custom views to users who have a valid support. The Custom View feature allows you to benefit from the full potential of the SQL language. This feature is introduced in the 2.4 version. How to save a new custom view? View Assistant, how to create a simple custom view? List of predefined SQL Queries (View and Statistic Definitions) (FREE). 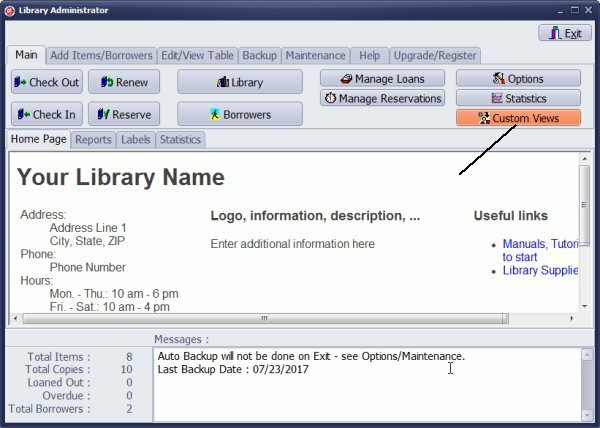 In the Library Administrator window click Custom Views. In the Library Administrator window click Statistics.